Thanks to periodic analyses, oxidation status test of bakery products and snack foods checks the nature and the degradation process’s speed. p-Anisidine value (AnV) to evaluate the formation of molecules (aldehydes and ketones) responsible for the organoleptic alterations. Furthermore, AnV analysis on oil is an indicator of excessive oil deterioration in deep frying process. 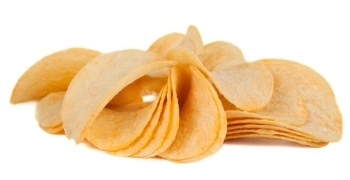 Several methods are used to predict the resistance of oil to oxidation, in order to be able to estimate the shelf life of snacks and bakery foods. The technique founded on a forced oxidation reaction does not provide an actual knowledge of the original oxidative status of the sample, because it only causes an oxidative degradation. For this reason, it can be defined an indirect method, even if analyses are carried out on finished snack products. Solvent extraction techniques are commonly used for the determination of lipidic content, using a Soxhlet extractor. Meshing the sample using a mortar until it becomes as homogeneous as possible and choosing an appropriate solvent, it is possible to extract the target analytes and to quantify them by gas-chromatography-mass spectrometry. Solvent extraction with a Soxhlet continues to be used as a reference method by the AOAC (Association of Official Analytical Chemists) for quality control, although it is cumbersome and at the same time toxic, because hazardous solvents for health are used. In fact, extraction and post-extraction steps must be performed in a vented hood and it requires skilled personnel, competent in chemical matters. Furthermore, Soxhlet method needs a long time, also about the extraction based on focused microwave-assisted Soxhlet extraction (FMASE). You have a drastic reduction in the extraction time (60 and 35 min versus 16 and 8 h). Nevertheless, a time too long compared to the analysis time obtained using CDR FoodLab®. Unlike the Soxhlet method, which is restricted to performing one analysis at a time, CDR FoodLab® carries out several analyses at the same time on the same sample, using a smaller amount of it. Free Fatty acids, Peroxides Values and p-Anisidine are among the most important analyses for this sector. Thanks to its easiness, CDR FoodLab® is used from the quality control of the oil to the entire frying process in order to manage it at best avoiding dangerous off-flavours. CDR FoodLab® is the only one, not only to be a green method, but also, it is able to give an actual measurement of oxidative stability of finished products, in a simple and fast way. CDR FoodLab® is the analysis system specifically developed by CDR to respond to the needs of snacks producers of any size. 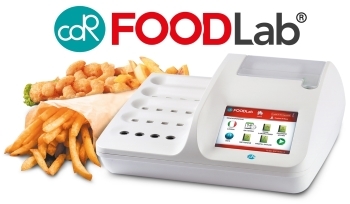 CDR FoodLab® allows testing the shelf life of finished products (fried snacks and nuts) more rapidly and easily than traditional methods with a green method. In order to have more info about the comparison between different methods download all paper: “Fried snacks: the knowledge of the oxidation state to improve the Shelf life“, written by Dr. Emanuela Pascale, Research fellow at Department of Chemistry “Ugo Schiff”, Università degli Studi di Firenze. Fried snacks: the knowledge of the oxidation state to improve the Shelf life was last modified: November 22nd, 2017 by CDR s.r.l.